I've been quickly knitting up some last minute things for the baby to distract myself from discomfort and to keep from going stir crazy. 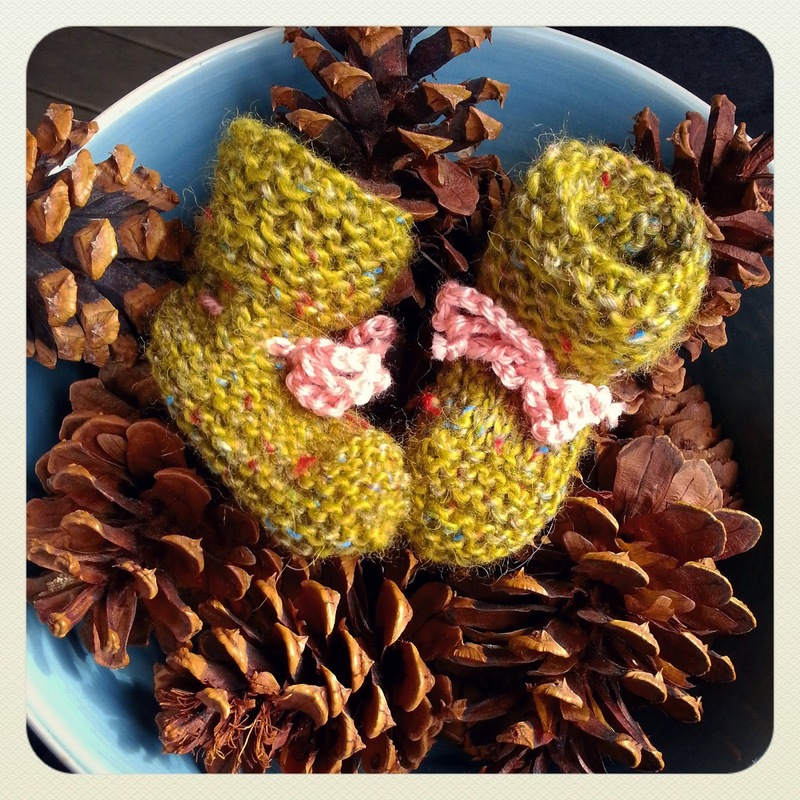 I realized that I hadn't made any booties yet. We have lots of tiny shoes from previous babies but it dawned on me that this baby should maybe have shoes of her very own. They're quite itty bitty, i wouldn't be terribly surprised if they only fit for a couple of weeks. But, i'm certain that they'll make an adorable Christmas ornament once she outgrows them. Today's post is rather short and uneventful...im blogging from my phone because my computer desk chair just isnt looking very comfortable right now. I'm really hoping that by next week's yarn along i'll have a tiny model for all this wool!